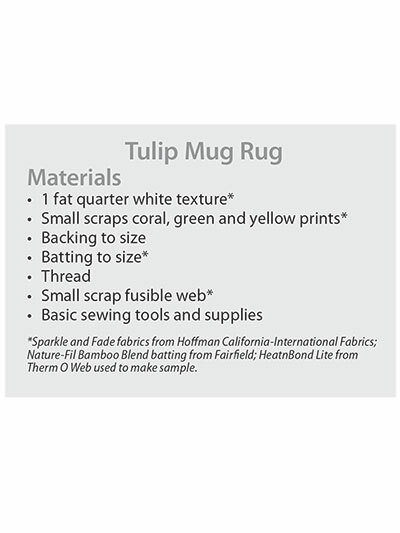 Use up your stash of scraps! 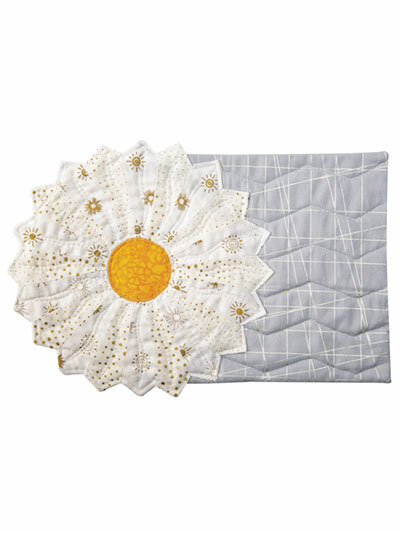 Get your table ready for spring and summer! 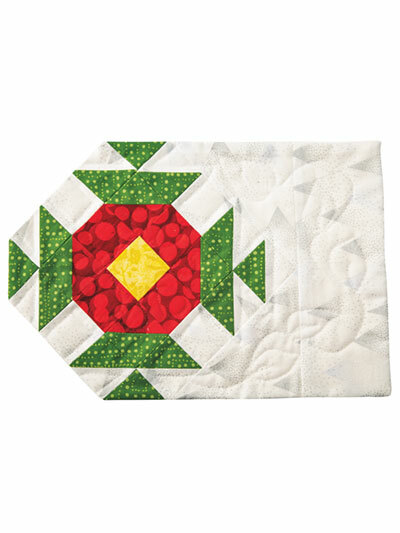 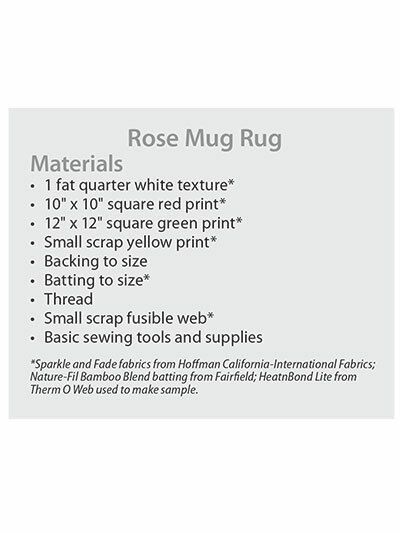 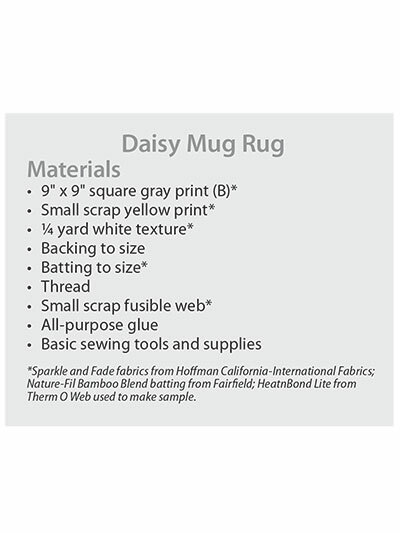 Mug rugs make a delightful hostess gift and are sure to be appreciated. 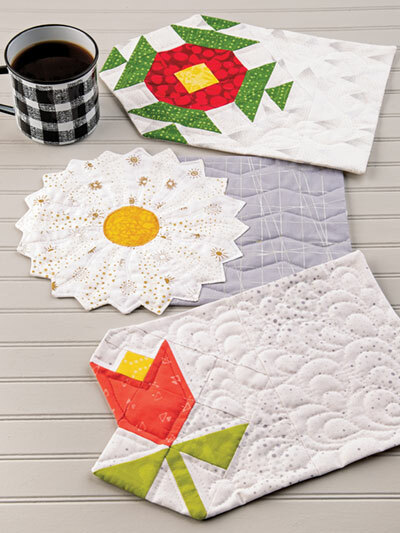 They are a reminder to sit and enjoy a cup of coffee or tea and a treat with a special friend. 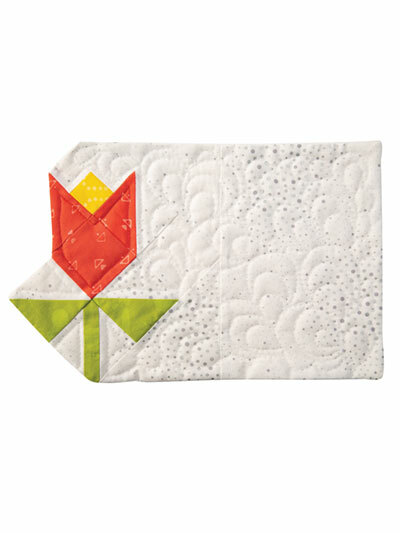 Finished sizes: Daisy 13" x 8 1/2"; Rose 8 1/2" x 12 1/2"; Tulip 12 1/4" x 7 1/2".